Yoken Gurung is representing UAE in the upcoming Manhunt International 2018 which is taking place from 26 November to 6 December in Gold Coast, Australia. Nepal born Yoken Gurung is the first Nepali man to represent UAE in an International Male Pageant. We wish him all the best for his journey to Manhunt International 2018. 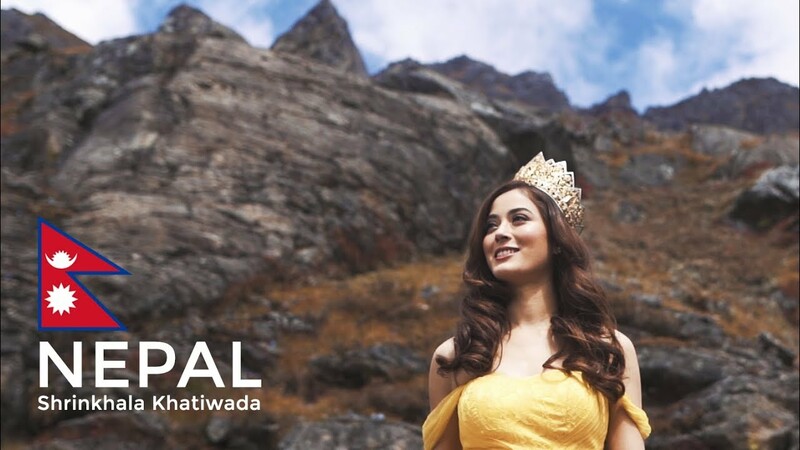 Miss Universe 2018 Predictions - 2nd Hot Picks by Official Nepali Beauty! 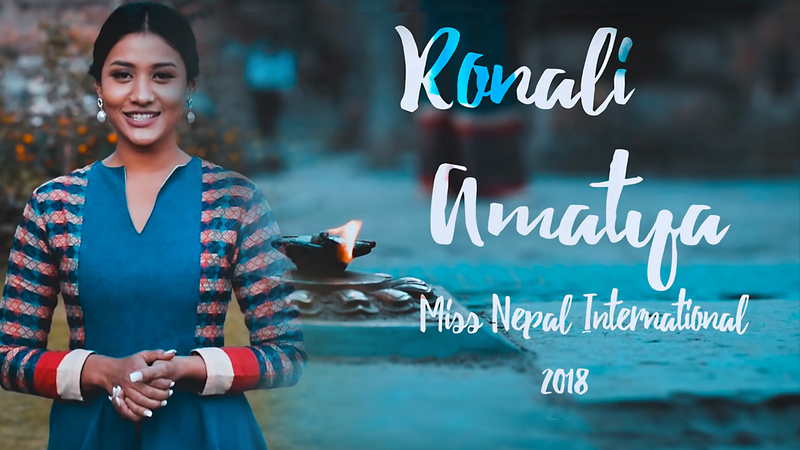 Welcome to our Miss Universe 2018 Predictions - 2nd Hot Picks by Official Nepali Beauty! Since yesterday; Miss Universe org announced that in about a month time, Miss Universe 2018 activities will began. 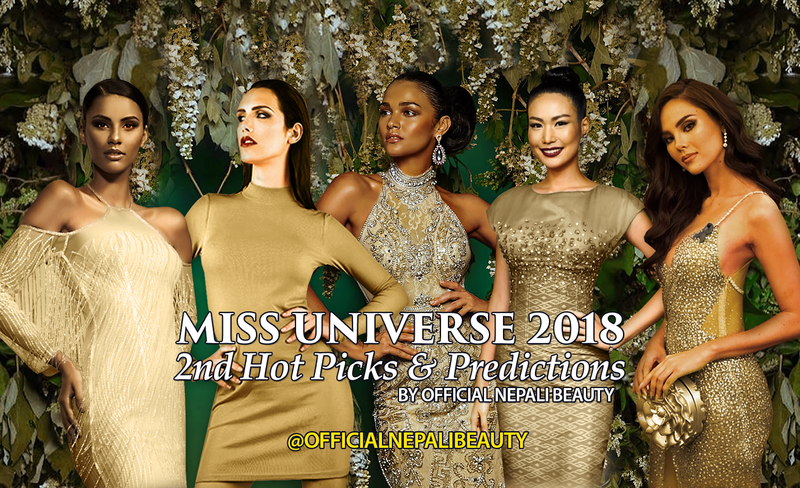 So, here is our 2nd Hot Picks and Predictions for Miss Universe 2018 pageant. 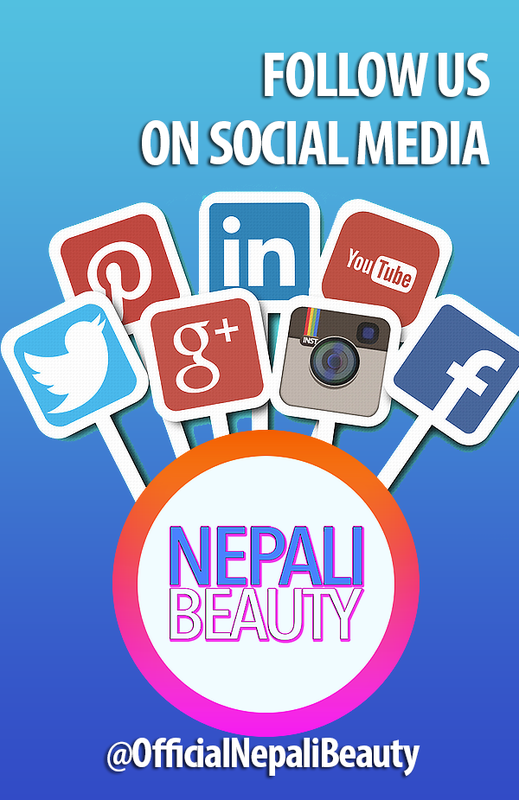 Here is our 2nd Hot Picks for Miss Universe 2018 Predictions by Official Nepali Beauty ! Official Miss Universe 2018 Press Conference in Bangkok Thailand ! Yesterday, Miss Universe 2018 Press Conference was held in Dusit Thani Hotel, Bangkok Thailand. Miss Universe CEO Madam Paula Shugart and President Thanawat Wansom of TPN Group. They talked about all the important details regarding this year's Miss Universe 2018 beauty pageant. Paula talked about how much excited she is bring back Miss Universe pageant to Thailand after 13 years when Natalie Glebova won Miss Universe 2005. Madam Paula said that this year's finale will be the most extravagant and grandest in it's history since this year they have the highest no of contestants at 95. Also she is very proud to welcome the first transgender contestant in Miss Universe pageant. The costume is made by Dreamwear- By- Manju Dhakal and Royal Sculptor Maharjan. Photo was taken by Sangya Manandhar, Vibes Creator & Raj Bhai Suwal. 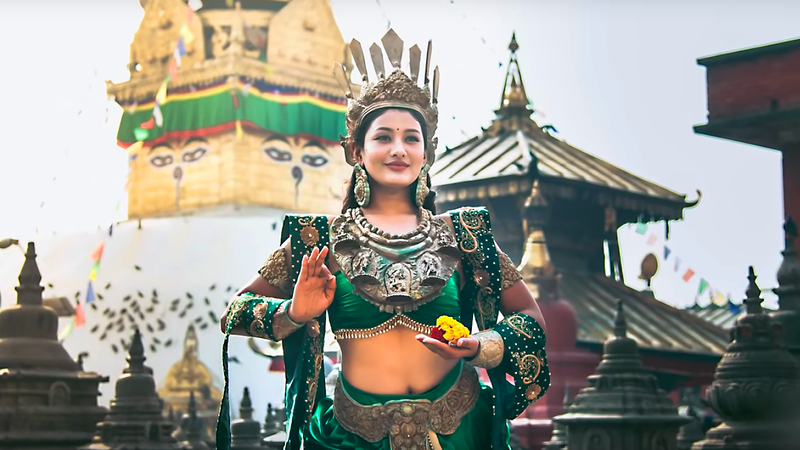 Click Here to know more about the inspiration behind this amazing National Costume "Green Tara"
"From the top of the world and the birthplace of Gautam Buddha, Light of Asia, Ronali Amatya Miss Nepal Internationl 2018 aspires to inspire people in every possible way and is all set to pass on the enlighment in her journey to Miss International 2018." How Miss Indias dominated Miss World winning 6 times? In this article we will be talking about how Miss Indias dominated Miss World by winning 6 times in it’s history; India alongside Venezuela has the most amount of winners in Miss World. Fleur Ezekiel was the first Miss India to represent in Miss World 1959; shorty after Reita Faria won the crown of Miss World 1966 becoming the first Indian woman to win an International Pageant. It took India 28 years until they won their 2nd Miss World crown with the infamous, green eye beauty Aishwarya Rai who bagged Miss World 1994 title. Miss India's Introduction video for Miss World 2018 ! Anukreethy Vas Miss India World's Introduction video for Miss World 2018 ! 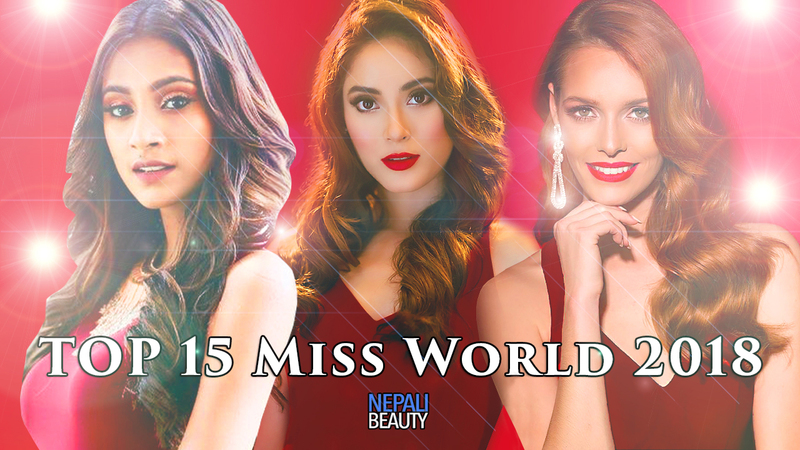 Miss Grand International is one of the biggest 3 International beauty pageants after Miss Universe and Miss World. 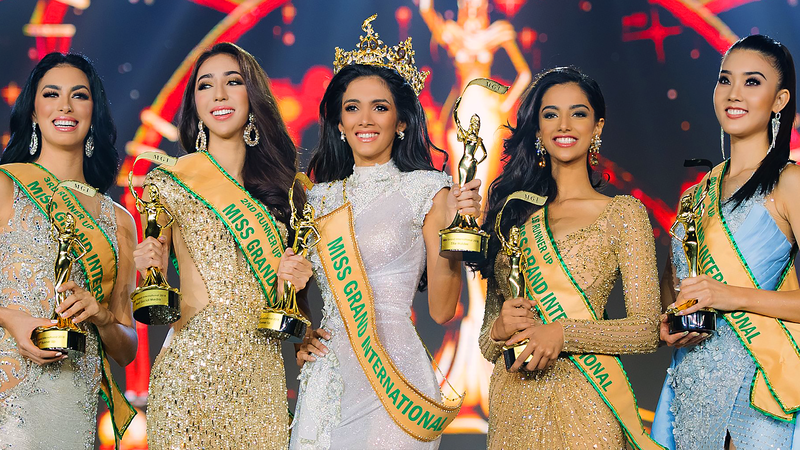 Tonight was the 6th edition of Miss Grand International 2018 which was held in Yangon, Myanmar. In this article I am going to talk about what happened in the grand finale and my thoughts on how the event went.